Iran’s President of the Republic, Hassan Rohani is in New York to address the United Nations General Assembly, but that doesn’t stop the UN digital ambassador, Elyx, from visiting the ancient country, which is one of the founding members of the UN. 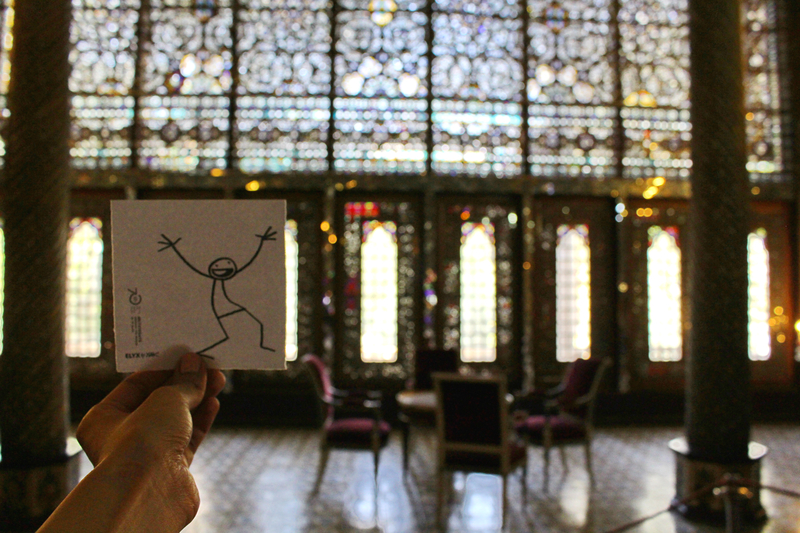 Eager to see some famous sites, Elyx is taken by colleagues from the UN Information Centre in Tehran, which has been present since 1950, to visit the Golestan Palace, the oldest of the historic monuments in Tehran. As our ambassador walks around the glittering building palace, Elyx suddenly realizes that the UN colleagues are nowhere to be seen and that they could be in any of the 17 structures of the palace! Elyx is dazzled by the color, light, and beauty of the Emarat-e Badgir (Building of the Wind Towers-circa 1806) Golestan Palace in Iran. 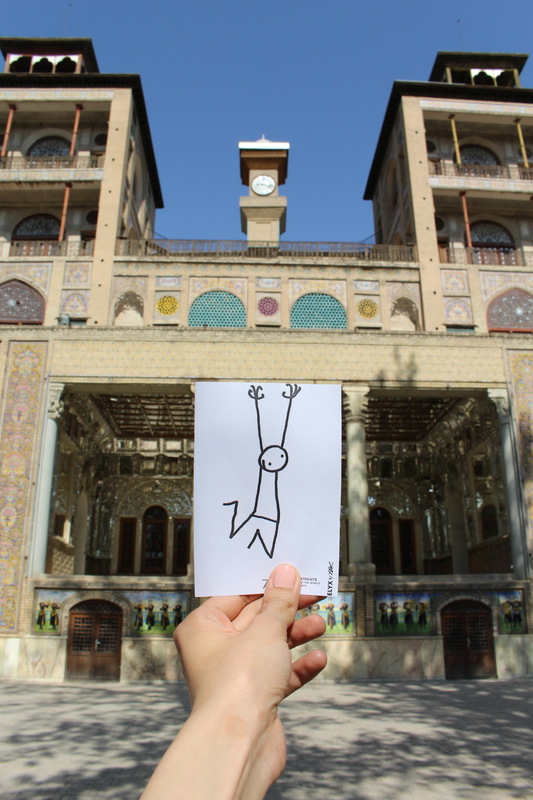 (Photo Credit: UNIC Tehran/Sepideh S. Asgari). But. Not to worry, there they are, in the Emarat-e Badgir – or the Building of the Windcatchers. Here, Elyx is told all about the ancient ‘air-conditioning’ techniques called “windcatchers”, which are high towers constructed to allow the wind to cool down the whole palace. Elyx also finds out that, at present, Iran has 19 UNESCO World Heritage sites, 10 Intangible Cultural Heritage elements and 7 Memory of the World items in the UNESCO registers. Now, that Elyx has spent much of the day inside the Golestan Palace, it is time to do a little real work and learn about the hands-on work of the UN in Iran. 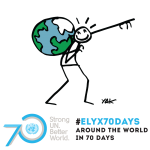 Elyx’s first appointment is with the World Food Programme (WFP) staff members, who want to show Elyx their school feeding programme. This programme provides food to families who decide to send their girls to school and has become an important factor in households’ decision not to marry them off at an early age. 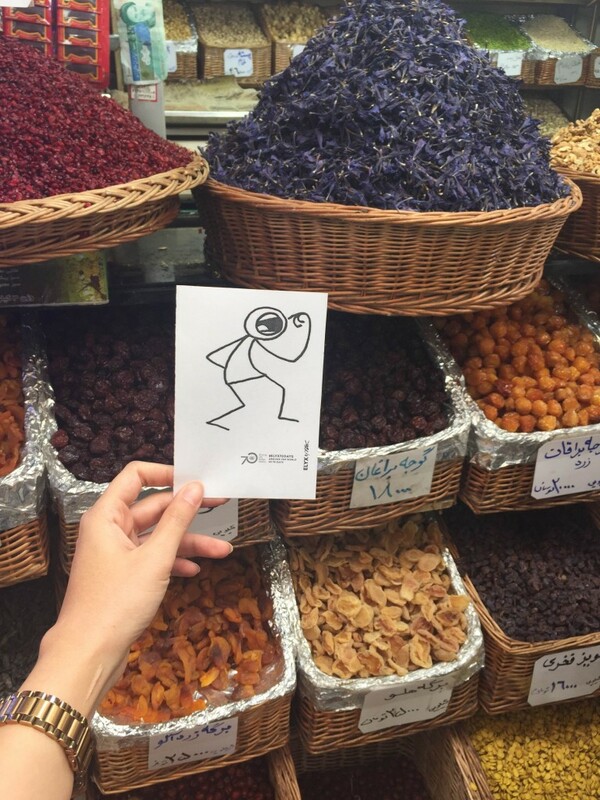 You can’t go to Tehran without seeing the Tajrish Bazaar, in the north of the city at the feet of the glorious Mount Damavand, the highest volcano in Asia. Elyx asks the staff of the Food and Agricultural Organization (FAO) to accompany it, so that as not to get lost again. The sights and smells of the spices make Elyx giddy with pleasure. Elyx asks FAO colleagues about the origin of some of them. Elyx is told FAO is working hard to make sure that all farms are managed in a sustainable way. For example, the Integrated Pest Management programme promotes several Farmer Field Schools in which Iranian farmers learn how to reduce pesticide related risks in order to improve the conditions of the rural communities and the access to national and international markets. 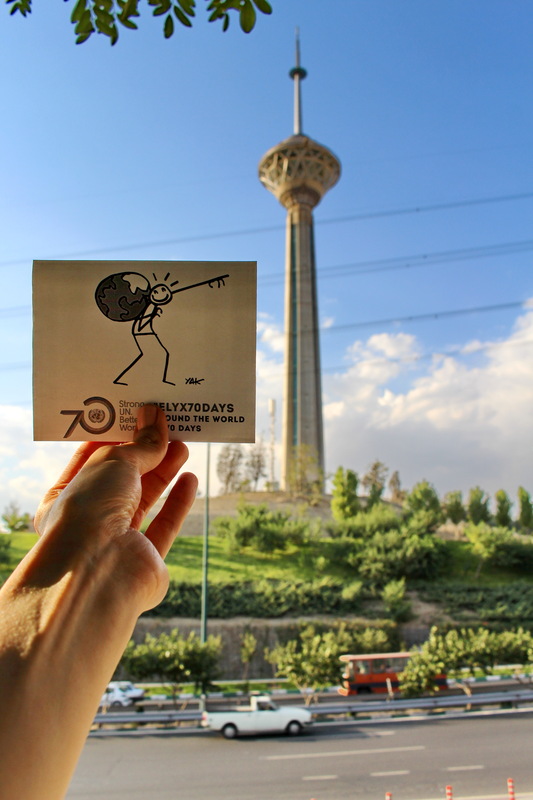 On the way home after a long and rewarding day in company with the UN staff, Elyx gets a nice view of the 435 m tall Milad Tower in Teheran. There are 18 UN agencies present in Iran and Elyx did not even get to meet half of them – so much to see and so little time to see it in. But Elyx makes a promise to the UN colleagues in Iran: I am coming back!